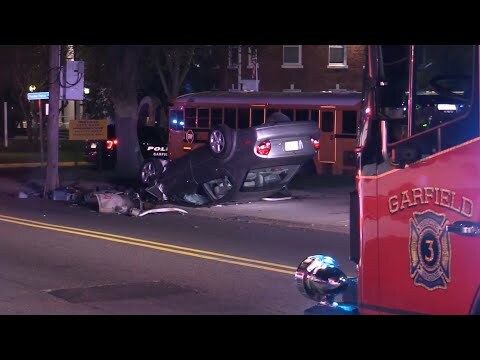 CLIFTON, N.J. -- A North Arlington man turned himself in to police to be charged with fleeing the scene after his Dodge Ram 1500 pickup struck a Moonachie woman on Route 46 in Clifton last week, leaving her in critical condition. Michael Choynowski, 27, was charged with knowingly leaving the scene of an accident resulting in serious bodily injury and endangering an injured victim, Passaic County Prosecutor Camelia M. Valdes said. Authorities also seized his truck. "Unfortunately it doesn't change the outcome of what happened to my sister," Gina Semioli told Daily Voice on Thursday afternoon, hours after her sister, Anna, underwent emergency surgery at St. Joseph's Regional Medical Center in Paterson. "I can't say I'm glad, because he maybe could have helped her," Semioli said. Her sister was struck on the highway's eastbound side just after midnight Oct. 9. Although police received several 911 calls, none offered any immediately reliable clues, family members said. Media coverage on Daily Voice, CLIFFVIEW PILOT and elsewhere, however, brought a witness forward who described a dark-colored pickup truck similar Choynowski's that took off after hitting the Montclair State University student. Valdes, the Passaic County prosecutor, said the attention also produced area video that helped crack the case.